*The following article was originally published on CBSNews.com. You'd think we would've learned our lesson from 2016 -- that all the trend analysis, polling, and punditry in the world means absolutely nothing in the era of Donald Trump. As an esteemed Republican colleague deadpanned to me last year, "Elvis has left the building ladies and gentlemen, and the old rules do not apply." Yet political analysis is all about predictions, and the latest talk about a coming "blue wave" has me more worried than I care to admit. If I'm being honest, I'm terrified. And my fellow Democrats ought to be worried as well. For starters, the midterm electorate tends to be whiter, older, more male – that electoral makeup was certainly the case in both 2010 and 2014. Where Democrats have been able to change that mix has been in special elections since 2016 – including last December when U.S. Senator Doug Jones pulled out his upset victory in one of the reddest states in the nation and in Pennsylvania Trump country this past March where Conor Lamb managed to take the 18th District despite an onslaught of Republican cash and attacks – the outcome has been good for Team Blue. Where we have assumed it would be the case, the results have been disastrous, even in traditionally Democratic turf. The relentless gerrymandering of congressional districts over the last decade – where Republicans have drawn the map to favor their own candidates – will also make it decidedly more difficult for Democrats to win big this November. The same maps that helped the GOP take a 22-seat lead in the U.S. House of Representatives in 2016 are governing the voter pool in 2018. An Associated Press analysis following the last presidential election found nearly three times as many Republican-skewed districts in the two dozen most-populated states in America. That means Republicans have a built in advantage in the states that make up the vast majority of Congress. The GOP edge is particularly pronounced in the battleground states of Florida, North Carolina, Pennsylvania, Virginia, and Wisconsin, where there are numerous races that are being closely watched this time around. Things look even tougher for the Senate, with 538's Nate Silver pointing out that "Democratic incumbents are doing worse than the 'fundamentals' would predict." When it comes down to it, Democrats have a terrible habit of shrugging off voting. In communities of color especially, the feeling that your voice doesn't matter has been institutionalized by generations of voter suppression – from voter ID laws that disproportionately harm minorities, the increased purging of voter rolls, gerrymandering, and an overall disconnect between the policies advanced by elected leaders and the needs of minority constituents. Anecdotally, the assumption that your team will win actually suppresses turnout even farther. Perhaps most troubling is evidence that some Democrats are growing complacent in the face of forecasts of a "blue tsunami." In FL-27, where former Cabinet secretary Donna Shalala is running to represent a district that Hillary Clinton won by 20 points, the Democratic nominee has come under a rash of criticism for being in "sleep mode." McClatchy News Service notes that internal campaign polls in mid-September showed Shalala either losing or close to tied with her Republican opponent, Maria Elvira Salazar. CBS News still rates the race "likely Democrat," but candidates who assume are asking for trouble. Sure, with Trump approval ratings at around 38 percent, polls showing people want to have a check on him, and activism on the streets, there's reason to be hopeful. The rising prominence of women in 2018 – as candidates and as a pivotal voting bloc – will likely help Democrats as well. But the race isn't won yet. There are dozens of congressional districts with an overall demographic makeup that suggests the slate of Democratic candidates are within striking distance. However, the path to victory in the vast majority of these races depends on changing the off-year electorate pretty dramatically. That takes strategy, money, and compelling candidates. In the cash column, first-time Democratic House candidates have been making impressive hauls, with 60 Democrats reporting more than $1 million raised in the last quarter, and the historic number of women running in a year when women's issues have dominated media attention could keep progressives motivated through Election Day, if the rage felt by so many on the left and in the middle following the confirmation of Judge Brett Kavanaugh to the Supreme Court this month can be channeled and maintained. While local matters are often key voting issues in midterms, at this point, by a margin of 2 to 1, voters across the country are now saying that it's the national issues that will get them to the polls. Voters in states surveyed recently by CBS News say their vote for the Senate is mainly about the direction of the country over a list of other factors. So, in the final month of the 2018 electoral cycle, Democrats must remain laser-focused on presenting their vision, economic messaging, pointing to the Supreme Court and the White House chaos where it helps to motivate the base. It's time to get out the vote. Meg Ansara was with Sirius XM POTUS to break down recent political news and talk about the launch of "Do Big Things" -- a media strategy agency that brings together some of the best digital talent from 270 and the tech gurus of Fission Strategy. She also joined with the DNC and Swing Left to announce a new effort to match experienced campaign volunteers to campaigns this cycle as part of the Party's Team Blue program. 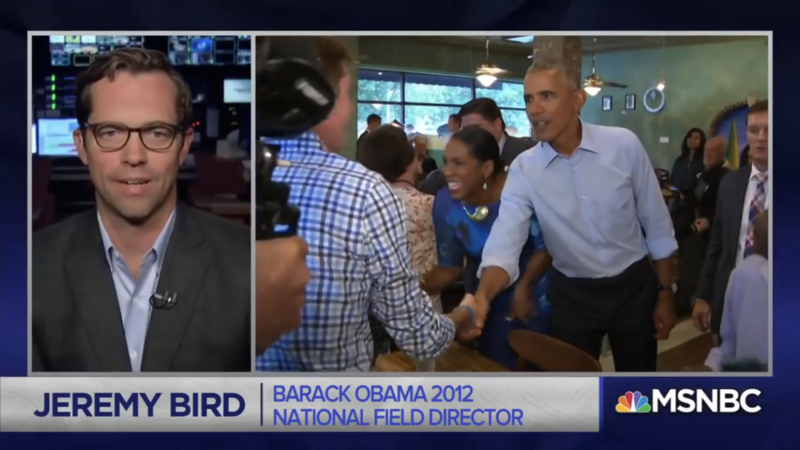 Jeremy Bird was on MSNBC to offer his thoughts on Barack Obama hitting the campaign trail to help elect Democrats in the critical 2018 midterm elections, while Lynda Tran spoke with NPR about Democrats' desire to see more of the former President in the era of Donald Trump. 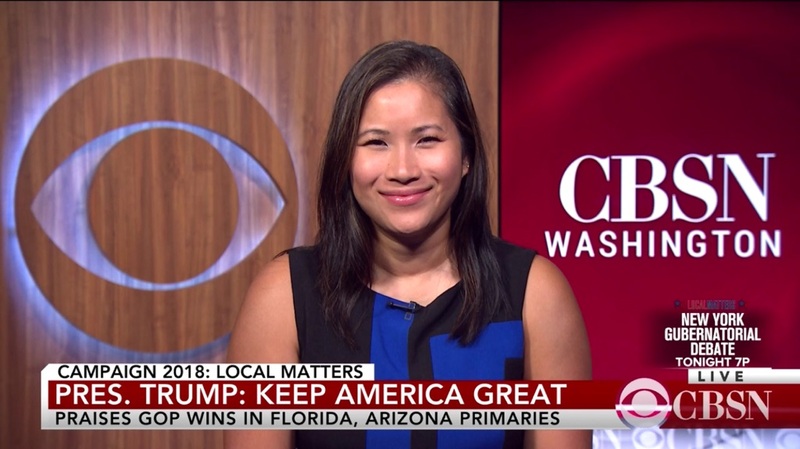 Tran gave CBS News her take on how Democrats can still win in the fight against Brett Kavanaugh's Supreme Court nomination. "Florida is a place that is more of a battleground than we've seen across the country. Donald Trump won there in 2016 but it was a a squeaker at just over 1 percent and of course Barack Obama won there in 2012 with just under 1 percent. It is a state that is walking the line between the parties. When you think about the general election electorate, Ron DeSantis has got to be concerned about those Independents and those moderate Republicans who may not be so excited about the fact that he has bear-hugged Donald Trump and those who might be really excited about the idea of a history-making candidate such as Andrew Gillum." "What's interesting about Arizona is in the same way that Florida is a squeaker, Arizona is another state where there is a very strong middle, a strong independent mindset that may be interested in supporting a Democrat -- there is definitely a shot there for Kyrsten Sinema and certainly a place that Democrats are going to continue to focus. Similar to Florida, Martha McSally has been someone who was very much trying to align herself with Donald Trump. And that plays well in a Republican primary situation, but may not play so well again with a general election electorate with people who are turned off by Donald Trump's caustic style and some of these other significant issues that have been raised over the last 18 or so months."